Bali is full of life, adventure and sandy beaches. It is your perfect holiday destination as it provides a little something for everyone. As you leave the plane, you’re entering a place where you can embrace endless views of rice terraces, enjoy a relaxing yoga retreat, retire to the beach and get surf lessons for very affordable prices, or wonder through some the most beautiful temples in South East Asia. I don’t rate Kuta very high as it is known to be the party town of the Island and is a little bit on the trashy side. Just driving through the town to and from the airport at night gave me a bad first impression. But for its cheap alcohol, wide range of restaurants and bars, beach parties and reasonably priced accommodation, I can see why Kuta is popular amongst the youngsters. Being a neighbour to Kuta, Seminyak is the more relaxed, slightly upgraded version of Kuta. It is packed with everything you could ask for during a holiday and serves panoramic views of the ocean whilst having a cool cocktail at a beach bar. The home of Eat Pray Love, Ubud is known to be yoga retreat heaven, with hundreds of resorts around the area. Located up in the foothills of the Balinese rainforest, Ubud is not only home to yoga retreats, but also rice terraces, spa retreats (get the real jungle spa experience), cultural temples (in which sometimes a traditional Balinese show takes place), waterfalls, the well-known monkey forest, street markets and delicious food. People say Ubud is where you experience the ‘real’ Bali, where you can escape away from the hustle and bustle that’s at the beaches and nearby islands. The whole town is a picturesque heaven. Having some of the most luxurious resorts in the whole of Bali, Nusa Dua is the go-to destination for the more expensive holiday goers. However, in low season, these resorts can change to affordable. Mostly located just off of the golden sand beaches, these resorts give you panoramic views of the beautiful ocean, known for its surfer waves and excellent snorkelling. 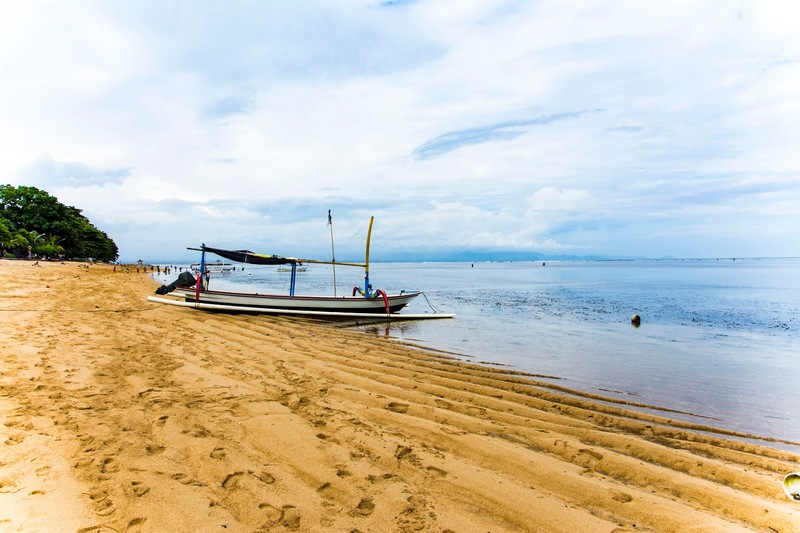 Having more of a relaxed atmosphere compared to other locations, Sanur is popular amongst expats, retired people and friendly locals. It offers beautifully golden sand beaches which you can cycle along for miles, a variety of restaurants which sit on the beach front perfect for a late afternoon cocktail, and water sports for everyone to take part in…sounds ideal! A 75-minute boat ride from Bali takes you to the beautiful islands that are known as the Gili Islands; Gili Trawangan, Gili Air and Gili Meno. They are the perfect destinations for an island getaway, whether it’s party style, a couples retreat or an adventure not to be forgotten. Between these islands, you can expect some spectacular diving and snorkelling spots where you will find yourself swimming with turtles, relax with a beer in hand from the largest Irish Bar on the smallest island in the world and walk along the miles and miles of white sandy beaches. It’s truly a place not to miss out on. Bali offers accommodation for everyone’s needs, whether that’s luxury resorts and villas or cheap yet cosy hostels. Out of season, the best of the villas and resorts can be brought down to reasonable prices, whilst hostels will be set a affordable rates throughout the year. TIP: Be sure to book early during the peak season as accommodation will get booked up quickly. Before getting to Bali, I encourage you to download the APP Grabtaxi. This will save your life in most cases. Similar to Uber, Grabtaxi offers to take you to one destination to another at an affordable price, unlike taxis which like to rip you off. Grabtaxi isn’t available in all locations of Bali, for example Ubud you won’t find many around that areas, but places like Seminyak and Kuta have them everywhere. If you are going to Ubud for the day, mention it to the driver as they will offer to pick you up at a later time that day, sometimes they assume and ask you anyway, very helpful! There are taxis all over the island, in some places more than others, so there is always a backup option. However, they do tend to rip you off massively so either agree to a price before getting in or accept that it will cost you a lot more than any other transport. Public buses do exist in Bali (somewhere) but they are known to be unreliable and irregular. Bus timetables? Forget them…it’s a bit of luck when it comes to public buses. Got a big number of people in your group? Why not hire a driver? In Bali, you can hire a driver for a few hours of the day, or just hire them for the whole day. Give them an itinerary (or they may recommend one which covers the places you want to go to) and they will make it happen. What’s even better is it’s so affordable…obviously the more people you have the cheaper it will be. If you are heading to a few islands nearby, certain locations on the coast offer ferry rides frequently throughout the week. Hiring a moped is a very popular choice for most travellers and amongst the locals, but I would only advise this if you have experience in driving one before. The narrow and meandered roads of Bali can cause many accidents, especially in the rain…better be safe than sorry! – Venture out to Tanah Lot and Uluwatu temples to catch a cultural experience and watch the sunset. Here’s an idea of how cheap it is to holiday/travel through Bali, as soon as you jump off that plane, you have landed in a very affordable destination (even if the flights may have been a little pricey, depending on where you came from). – You can stay at reasonable hostels for as little as £4 a night! YOU ARE READY TO GO! Grab your bags, get on the plane and go to Bali. What are you waiting for? Have you been to Bali before? How was your experience? "How I Edit my Blog Photos"